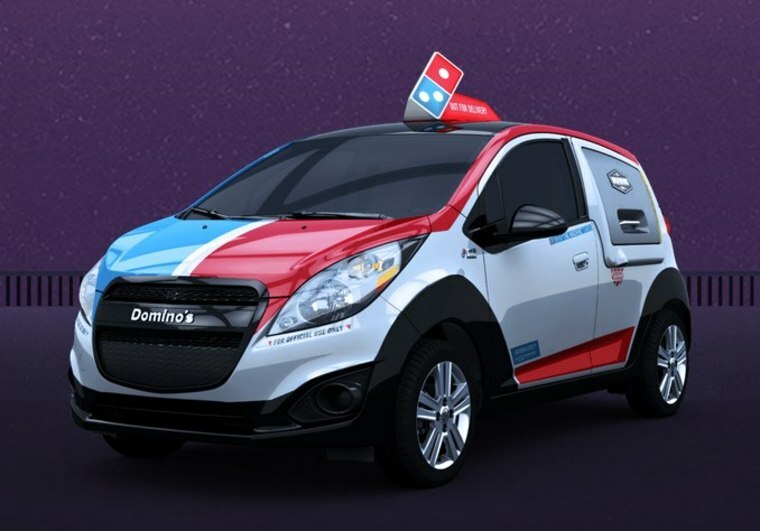 If you're one of the biggest pizza chains in the world, why shouldn't you have a custom vehicle just for delivering pies — oven and all? That's a question Domino's apparently asked itself before modifying a Chevy Spark into the DXP, a laser-focused pizza delivery system. The vehicle can hold up to 80 pizzas and its back has been converted into a warming oven kept perpetually at 140 degrees. Instead of useless passenger seats, there's a special section for napkins, dipping sauces, 2-liter bottles of soda and other essentials. If it's dark at delivery time, the DXP projects a Domino's decal onto the ground so the driver can see where he or she is stepping. The vehicle was designed by Local Motors after asking customers what they thought was most important in such a vehicle. A hundred DXPs are being built and distributed for now, with 97 on the road across the nation as of this writing — you can check this map to see if the next generation of Domino's delivery will be coming to your door any time soon.